Jerac hit a home run with this one. 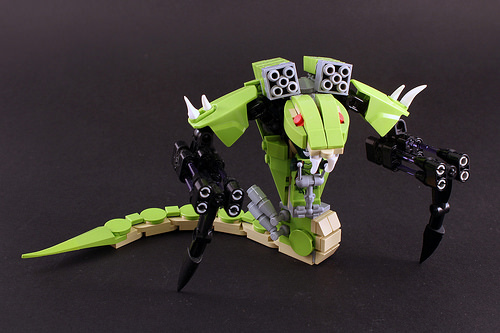 This ninjago-inspired snake mecha is rock-solid. I know this because the young Ninjago fans in my house freaked out when they walked by and saw me blogging this.